With three tank regiments and a motorized rifle regiment the Division has impressive offensive firepower. The tank regiments are equipped with variations of the T-72B main battle tank, with some of the formations fully equipped with the latest T-72B3 obr. 2016. 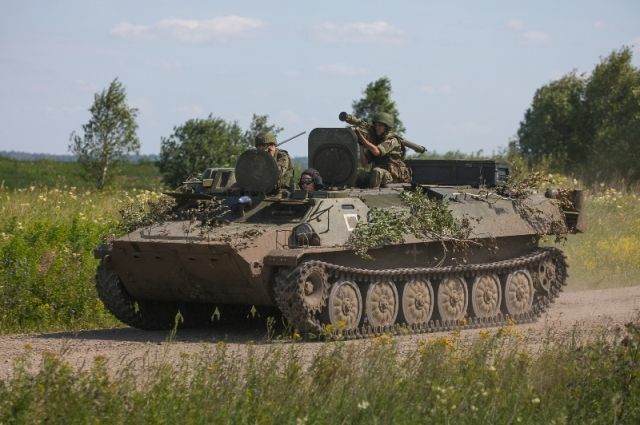 The motorized infantry regiment is a wheeled one with a full complement of BTR-82A 8x8 infantry fighting vehicles. The first batches of the latest BMPT Terminator fighting vehicles have also been delivered to this division. This combat exercise illustrates the presumed role of the division. As it’s located behind the westwards facing front line units of the Russian Western Military District, it’s intended to plug gaps that hostile forces are trying to exploit or it will be used as a second wave assault formation that will take over the offensive from the 1st Guards Tank Army when it has exhausted its momentum. Previously it was widely believed that only the 1st Guards Tank Division was capable of conducting complex combat operations with a full division operating as one unit. 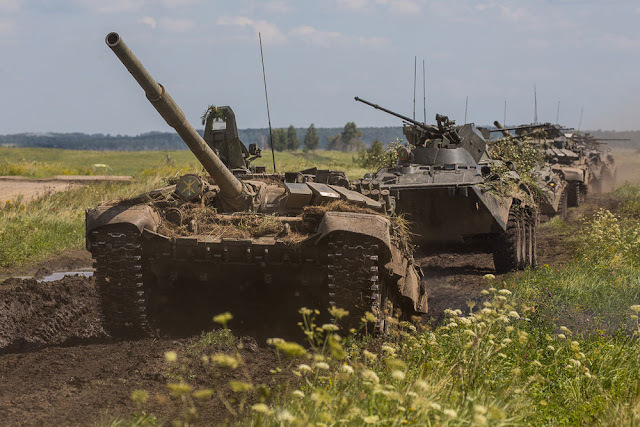 The new command and communications systems deployed by the Russian armed forces seem to enable the divisions and presumably armies to conduct far more efficient combat tactics than before. Reminder: There are are very few, if any, western formations that can withstand an assault by 200 tanks. Special thanks to Aki Heikkinen for piecing the exercise events together. What is the 1st Guards Tank Division. Do you mean the 1st Guards Tank Army? For a long time it's regiments were not completed for 2nd and 4th DIV, and frankly I still don't think they're filled. Don't know who widely believed that only a specific division in the Russian armed forces could conduct complex combat operations as single unit. Where is this analysis written? Not sure what informs that belief, or any notion that Russian divisions will fight as divisions, rather than fielding regimental tactical groups and then reinforcing them with units from the division. Interesting bit of trivia - back in 2008 the 42nd Division was the only unit at wartime manning strength and did quite well deploying in the Russo-Georgia War, although they force generated two reinforced BTGs at the outset, and then reorganized into regimental sized groups later on in the conflict. On the last point, I will just harp that the ability to withstand an assault by 200 tanks is pretty dependent on a thousand different factors. On the modern battlefield formations tend not to fight by themselves, there's all this air power, combat aviation, supporting artillery, joint fires, and a myriad of other things going on so I would not imagine an 'excel spreadsheet battle.' Probably a US armored brigade combat team, with the attendant combat aviation and air support (which is how we tend to deploy), might hold just fine. Tanks, more often than not, do not find themselves dueling with tanks. They face ATGMs, RPGs, anti-tank units, helicopters, and tactical aviation. Good post highlighting exercises, I would shy away from reading too much into the exercise though. An exercise is not necessarily indicative of the unit's role, or how it will be fielded by OSK command. That exercise was likely more a C2 test, than working out specific battles. It's easy to look at any exercise than try to plug it into one's own warfighting scenario without necessarily knowing what the Russian General Staff is working out or experimenting with in that particular case. Just my 2 cents. 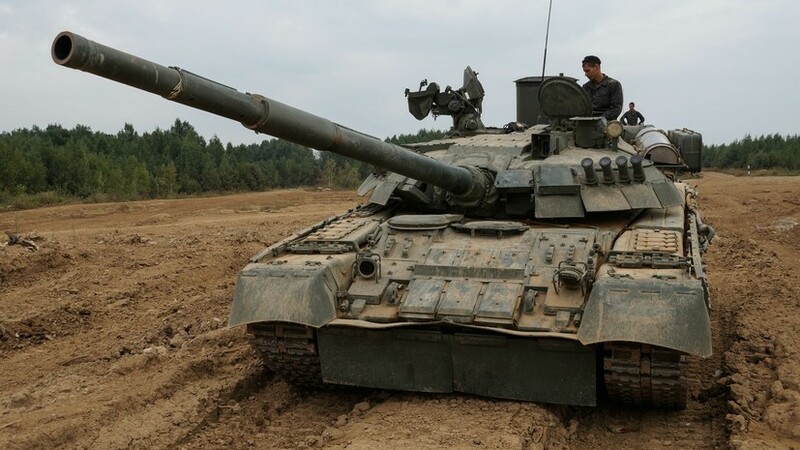 Also, the tank photo is of a T-80, which leads one to wonder which regiment there is fielding T-80s, unless that photo is actually from 4th Tank Division, which is fielding the largest number of T-80s in the Russian armed forces, vice the 90th.